JUNEii is a complete Parisian artist. His artistic career began in 2012 with his first group ZUZOOM at Mercury / Universal. Their EP “Shook up my world” allowed them to make many live shows and won the Audi Talent Awards. As a result of this adventure, JUNEii meets MADJO with whom he goes on tour for 3 years as a musician (beatbox, percussion and vocals) and ends up working on her last album: “Invisible world” as producer and arranger. 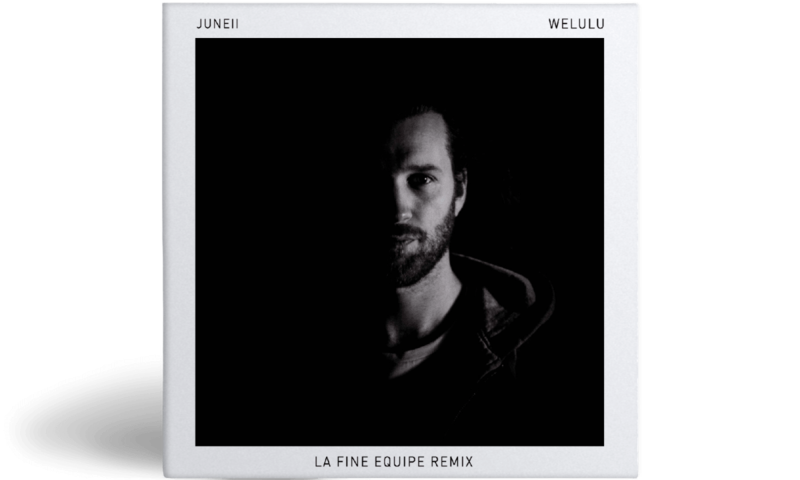 The band La Fine Equipe (Oogo, Chomsky, Mr, Gib and Blanka), composers of the famous compilations La Boulangerie.They have decided to remix JUNEii’s single “Welulu ».